Downsizing is directed by Alexander Payne, and stars Matt Damon, Christoph Waltz, Hong Chau, Jason Sudeikis, and Kristen Wiig. In the not-so-distant future, a strange but effective method to combat overpopulation has been conceived. The “Downsizing” process, developed by European scientists, shrinks human beings down to a fraction of their former body mass. With the spreading of the procedure over the years, it is debated due to a number of factors. 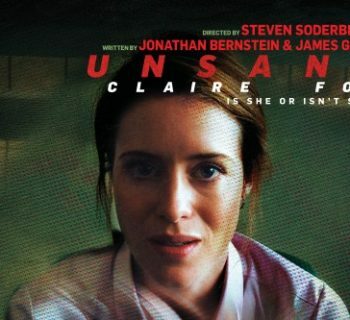 Paul and Audrey Safranek, a couple that is strapped financially and attracted to the prospect of downsizing due to the elimination of money pressures, agrees to go through with the process, but with Audrey backing out at the last minute, Paul is left alone in his smaller body, in a new and unfamiliar community. It is not long before he becomes aware of the plight of many other downsized people, and wants to use his former medical training to help them, and to do things on a larger scale to help the world's population. Having seen the trailers for Downsizing, it was a film I was certainly intrigued by, taking an age-old comedic trope of shrinking, and putting a relevant, real world twist on it. 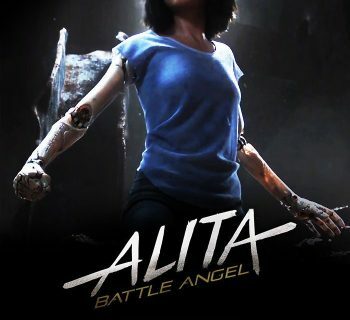 Unfortunately, the trailers for the film are not advertising it correctly; the film actually has more in common with dramas than it does comedies. In its second half, the film changes tones far too drastically, and simply tries to reach too far. 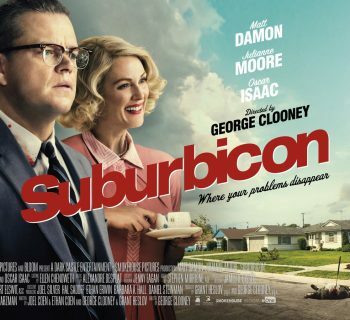 This could have been a fantastic comedy starring the always-entertaining Matt Damon, but the crew simply does not know when to back down when it comes to the scope of the film, with too many plot points and an overlong run time. It does not help that the film has an overabundance of product placement, and one of the worst Asian stereotype characters of recent memory. The overall tone of the movie starts out brilliantly; we have a recently developed technique that enables people to shrink their body mass, doing their part to help the planet, while being able to live a more luxurious lifestyle. This story alone is comedic gold, and this could have made for a hilarious comedy featuring Matt Damon, which is what the trailers built the film up to be. But the writers felt the need to stretch too far, and it is not long before the emphasis of the movie shifts towards heavy social commentary, with characters trying to help the less fortunate, and even prepping for a literal end of the world. While being marketed as a comedy, the film simply is not all that funny. It is well made, but is not the movie people are coming in expecting. Pardon the bad joke in a movie about shrinking people, but a “less is more” approach would have worked best here. The filmmakers simply did not know what kind of movie they wanted to make, and the inconsistent end result shows it. Aside from the horribly inconsistent tone which shifts from shrinking people to “end of the world” preparation, the movie has a ridiculous amount of product placement, including Omaha Steaks, Olive Garden, Cheesecake Factory, Land’s End, and Tony Roma’s. These instances stick out like a sore thumb and are quite distracting from the film’s main plot. And these are only the ones I remember! And then, we come to the issue of the Hong Chau character. This woman, despite being written as an activist and a person of importance, speaks in stereotypical broken English, and hardly seems intelligent at all, despite having a big heart. The performance paints this character out to be idiotic, and easily one of the worst Asian stereotypes seen in cinema in years. That is not to say this character doesn’t have her moments, but the execution here is disappointing, and borderlines on offensive. If there is one guiding light in this mismatched, inconsistent, and uneven film, it is leading man Matt Damon. This is one of the few actors out there who can pull off everything from the dramatic to the comedic exceptionally well. He’s the one thing in this film that impresses in every scene he is in, from the more lighthearted moments, to bigger moral quandaries. It’s just a shame he didn’t get a better film to act in here. 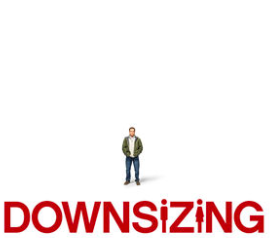 Downsizing has potential, but the film is overlong and reaches too high, being far more dramatic and less comedic than the trailers will lead audiences to believe. There are certainly some quality elements to the film, but it is not the movie that audiences will want or be expecting. Odds are there may be some people that view the film as a work of art and give it more credit, but for this cinephile, the end result was just too inconsistent and scattershot. Matt Damon is the shining light here, but even he is unable to rescue the movie from being anything more than a weekend rental recommendation upon its home release. Rating: Two out of four stars. DISCLAIMER: All image in this review are the property of their respective copyright holders. For promotional use only. All rights reserved.